An international movement demonstrating the need for change in how we understand emotional and psychological distress – predominantly as medicalised and individualised problems – is ongoing. 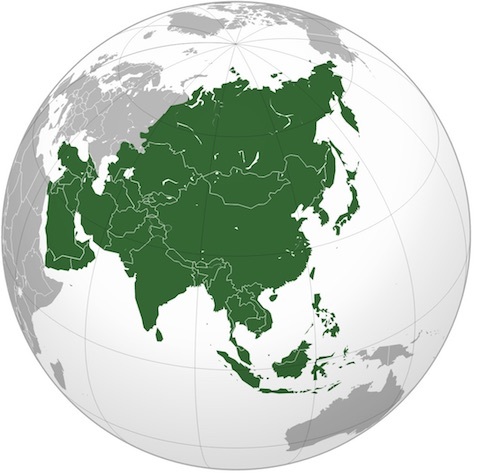 This critical movement has a long history in Asia as well and has been growing and gaining momentum in recent years. An alliance of people with psychosocial disabilities and cross disability supporters, TCI Asia (Transforming Communities for Inclusion of Persons with Psychosocial Disabilities, Asia) has been at the forefront of this work in the region. In November 2016, TCI Asia and Bapu Trust for Research on Mind and Discourse, the organisation that helped to convene the network, were instrumental in organising the 7th meeting of the International Network for Treatment Alternatives and Recovery (INTAR) in Lavasa, Maharashtra, India. For many of us who attended the event, it felt as though, for the first time, a genuine space had opened up for truly transcultural dialogue and for sharing the diverse experiences, knowledges, and priorities of people both from the global north and from the global south. We felt that things were in motion, sensed the potential in this collective energy. It was out of this immense sense of excitement that Mad in Asia was born. Writing out of Asia, we share the concerns that many activists and advocates around the world have about the dominance of the biomedical model in the understanding, treatment and care of people deemed ‘mentally ill’. Many of our countries still operate under the legacy of colonial institutions and legal frameworks set up to ‘manage’ the mad. Meanwhile, new ‘global movements’ have set out to create and replicate policies and institutions based on western psychiatry and clinical psychology. Even in the ‘alternatives to psychiatry’ context, efforts to drive innovations developed in the global north into the global south have sometimes tended to replicate old colonial tendencies. Mad in Asia’s primary mission is to provide an online platform to contribute to changing the narrative about madness and mental health. However, we believe that there can be no single overarching narrative. Nor can it be articulated only in terms of an opposition to biomedical psychiatry and its institutions alone. In many of our countries where institutional psychiatry/psychology does not exist, violation of our rights and personhood take place within our societies, immediate community spaces and families. Collective action to change the narrative about madness and mental distress involves a whole range of negotiations as well as the affirmation and validation of knowledge, experiences and skills emerging from and responsive to local contexts. What is required, then, are contextually relevant, multiple narratives. Taking our cue from our partner TCI Asia’s objectives, our focus is on the human rights and community inclusion of persons with psychosocial disabilities. To change the ‘mental health’ narrative to one that critically engages with people’s lived experiences in our region, we believe that notions such as community, inclusion, rights, personhood, disability, society as well as madness, mental health and psychiatry need to be examined. Mad in Asia is a space for negotiating and nurturing such narratives, led by persons with psychosocial disabilities from Asian countries. We hope to do this in collaboration with our allies including cross disability activists, mental health workers, academics, social justice campaigners, family and community members, and anyone else interested in joining this online community for change. In doing this, we hope to disseminate the extensive knowledge (theories, investigations, actions and practices) held by our people and within our communities that come from different ways of understanding suffering and from the direct experience of persons with psychosocial disabilities. Much of this knowledge is absent even from the current global ‘critical and progressive alternatives’ knowledge base. Writing out of Asia, in English as well as in regional languages, Mad in Asia makes a claim for a valid space for this collective knowledge base. For inclusion, as we understand it from the wisdom of the Convention on the Rights of Persons with Disabilities (CRPD), is material as well as epistemic. We invite you to join us and look forward to your contributions and thoughts. 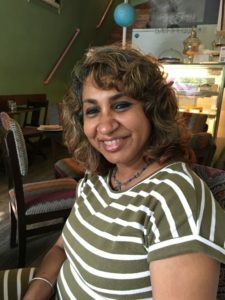 Jayasree Kalathil is a researcher, writer and translator, and runs the virtual collective, Survivor Research. She is particularly interested in decolonising knowledge in the context of madness and ensuring that the voices of racialised and post-colonial diasporic communities remain valid in knowledge making. 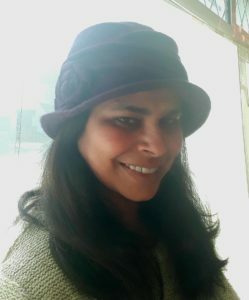 She was the founding editor of aaina, India’s first user-led mental health magazine and has edited the UK-based mental health publication, Open Mind. She is currently researching the history of user/survivor activism by people from African, African Caribbean and Asian communities in the UK. She is from Kerala, India, and currently lives in London. Jhilmil Breckenridge is a poet, writer and activist and is founder, Bhor Foundation, an Indian charity, which is active in mental health advocacy. She advocates Poetry as Therapy and is working on a few initiatives to take this into prisons and asylums. She is working on a PhD in the UK and her debut poetry collection, Reclamation Song, was published in June 2018. She is passionate about creating more awareness about the trauma informed approach, and better rights for those living with psychosocial disability.